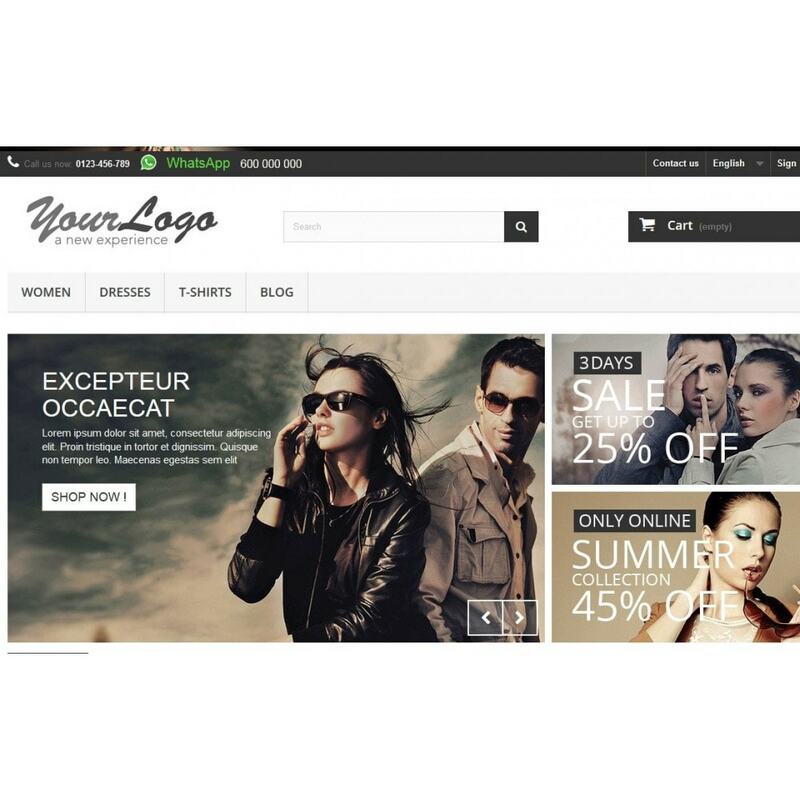 More conversions, more contact with your customers. Increse your sales and discover what keeps you from selling more and more. 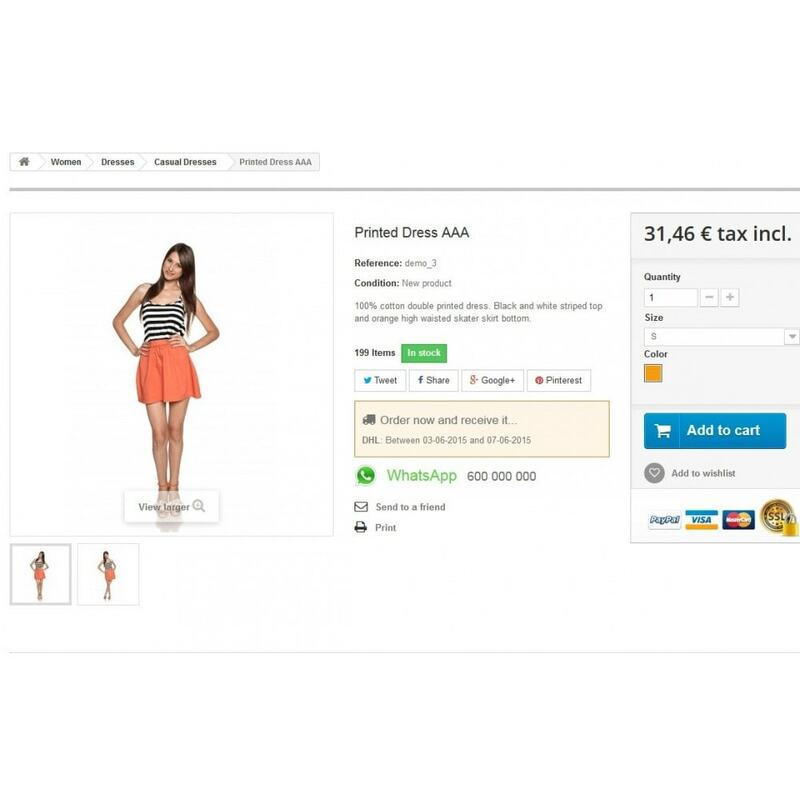 With the WhatsApp Contact module you can show your contact info on strategical positions of your store. For example on the registration page or when a customer is trying to add an address. 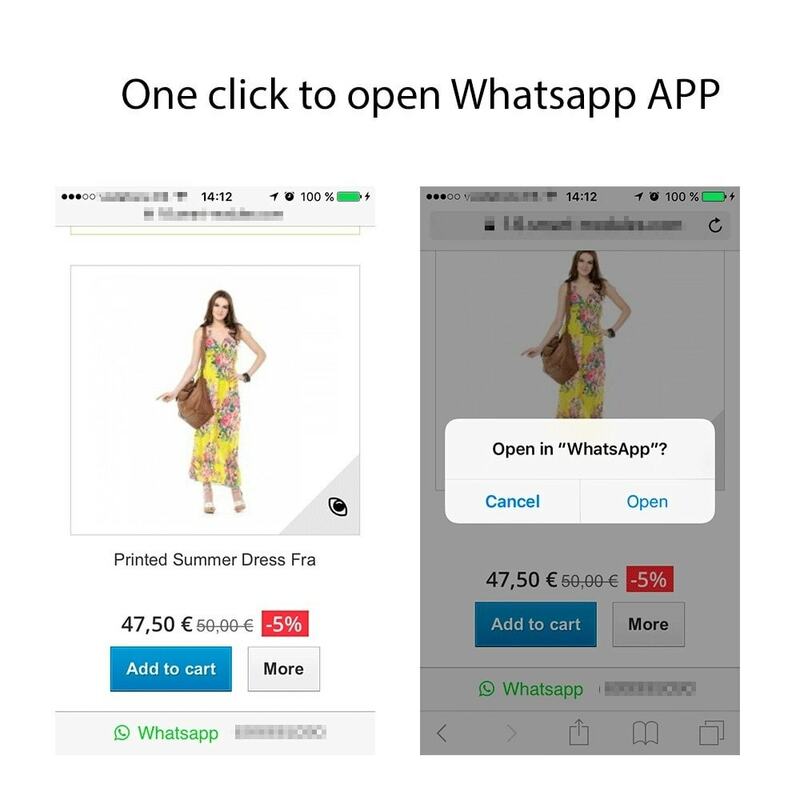 -The Whatsapp API is here, now customers can open Whatsapp directly with just one click. 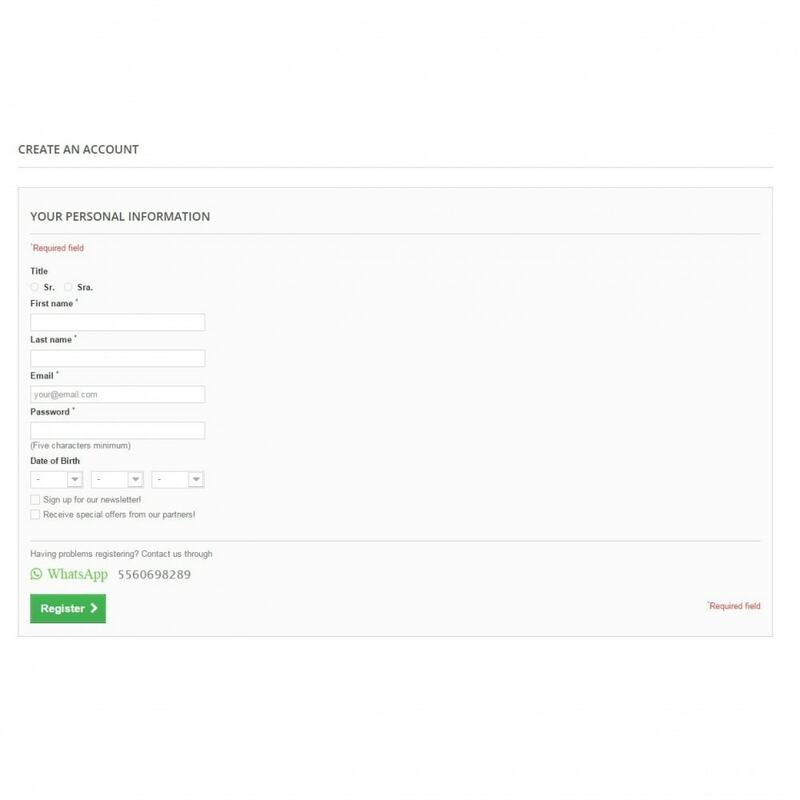 - Prefilled fields to make customers even easier to contact you. 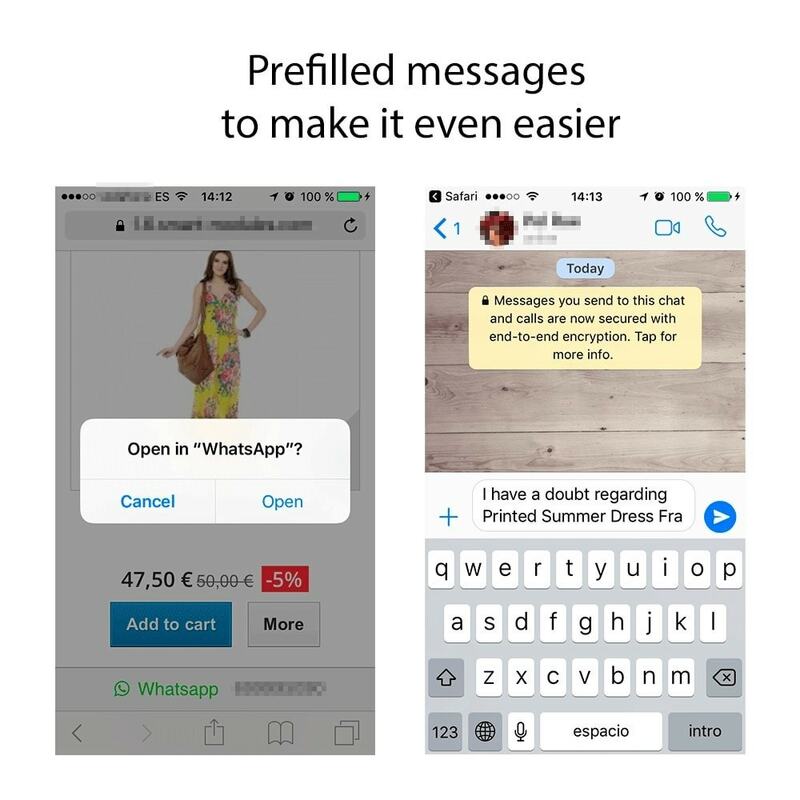 Get total control of where and how to show your Whatsapp contact info, add some text to encourage customers or add a prefilled text so your customers don't even have to think what to start writing. Go to our demo to see it live by clicking on the blue link below the module images. 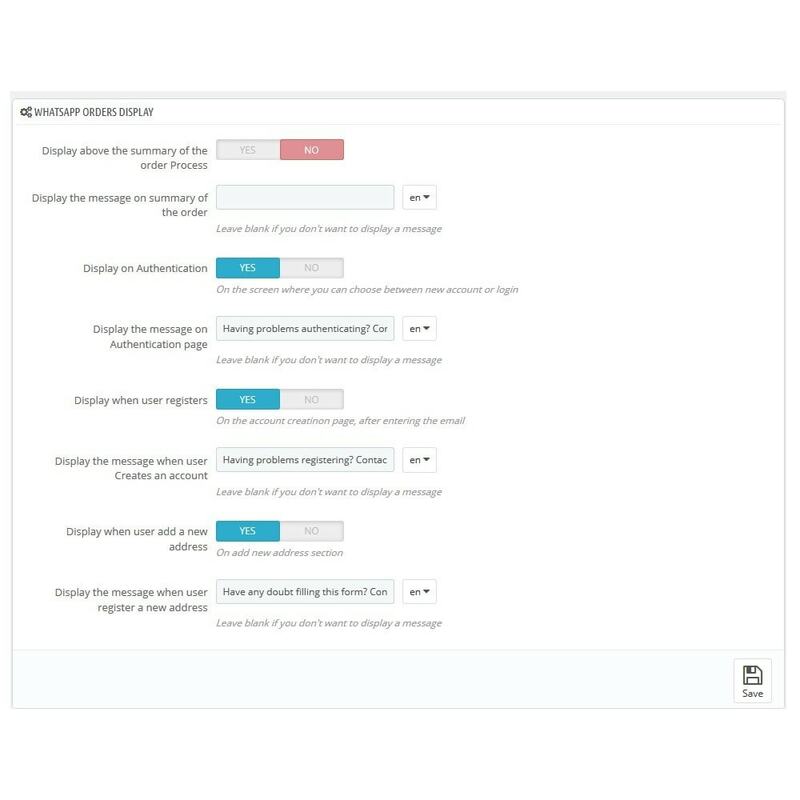 Customers will find a fast and easy way to contact you if they need it. 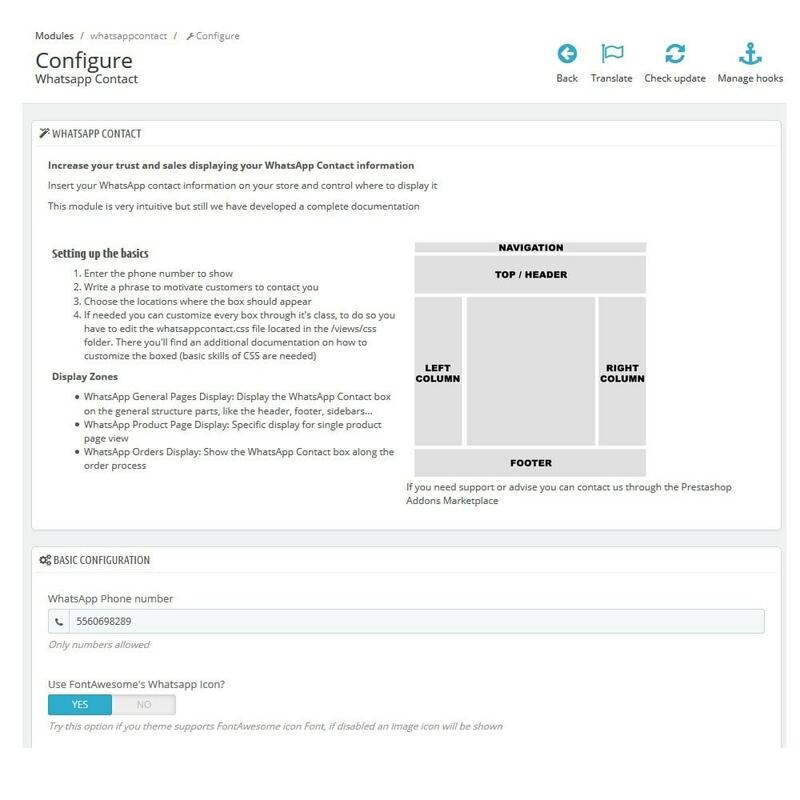 If you have any suggestions for making this module better like new placements or funcionalities, please let us know, we do appreciate your feedback and comments. Simple to install, simple steps of configuration, best suit for beginner like myself. I love this module. Even better if you could provide copy and paste of the phone number easier for customer to save your number! Keep it up. Good work. Save and clear the cache!